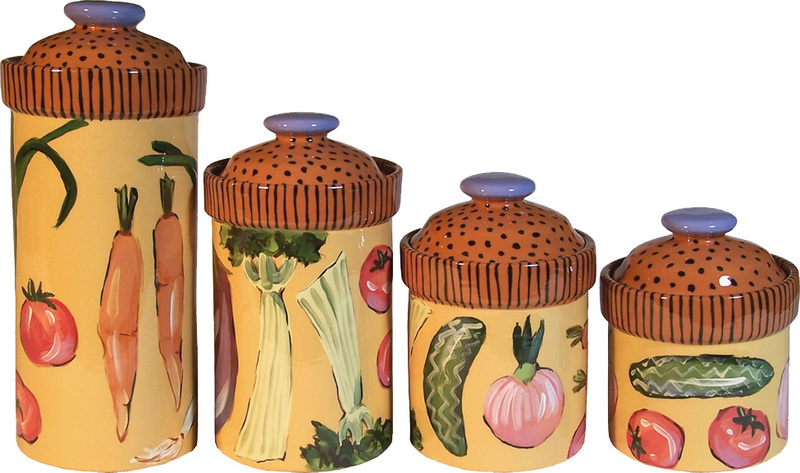 Vegetable Soup Canister Set- All canisters are 5 1/4" wide. X-Large Canister 12" tall. Large canister 9" tall. Medium canister 7" tall. Small canister 6" tall. Individual pieces can also be ordered below. Click photo for larger view. Vegetable Soup Small Canister 5 1/4" wide X 6" tall. Click photo for larger view.